I really don't know how I missed this one until today. When it came out in 2011, I was obsessing over Daniel Lopatin's research into obscure 80's new age and computer music videos on his Sunset Corps Youtube Channel. His own sample based music, Oneohtrix Point Never, is currently my favorite art project. The nostalgia and sensory overload of my own childhood memories are tapped into each time I listen to his material. It causes a flood of near synesthesia. One that I welcome whole-heartedly. Kuedo, which naturally makes me think of Kodo, has a similar aesthetic but is driving and is an IDM of sorts. Its as if Vangelis is making experimental trap, synth house and future garage. 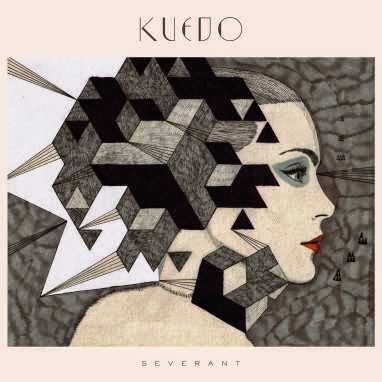 In fact, Kuedo even samples from the Bladerunner soundtrack. There is nothing special or innovative here, but if you grew up in the 80's, were a fan of any new age at the time, and are into contemporary UK dance music, I guarantee you'll dig this.